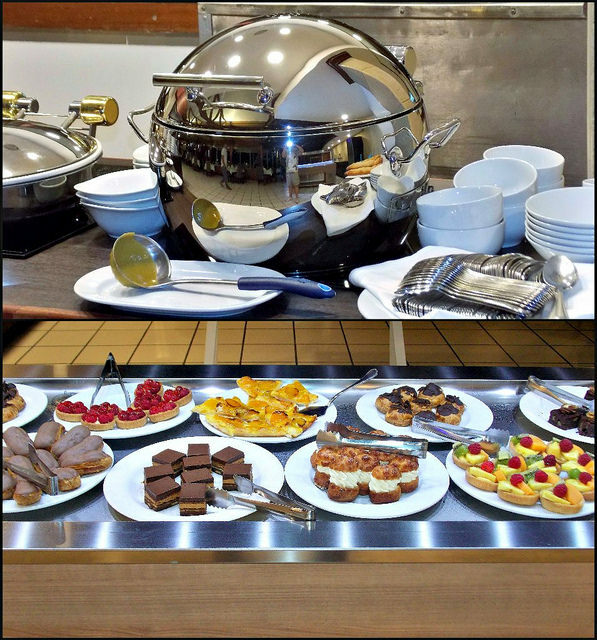 The cuisine of New Caledonia is heavily influenced by its French ties. 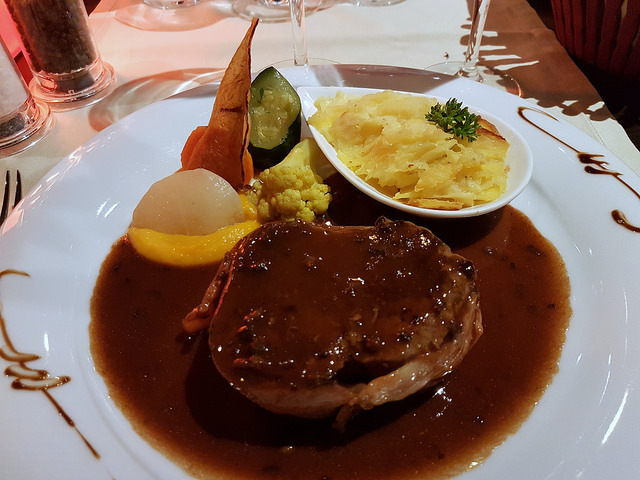 The French cooking influence is evident in the many good restaurants to be found in and around Nouméa and includes a significant emphasis on wine and coffee. An abundance of seafood is to be found, finding its way into unforgettable gourmet creations or deliciously simple island fare. The New Caledonia blue prawn is a rare delicacy with a worldwide reputation. Other local seafood specialties include small and succulent mangrove oysters, served with a simple vinaigrette and pastry shells filled with seafood and cream sauce. 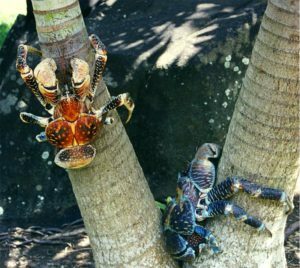 In the Loyalty Islands one finds the coconut crab, which is actually a crab that feeds off of coconuts. These crabs have extremely strong pincers which enable them to crack coconuts. The Isle of Pines are known for bulime, or snails, which are served with garlic and butter or in soups. The national dish, bougna, is a Melanesian creation featuring chicken,lobster, fish, yams, bananas and coconut milk, which is wrapped up in banana leaves and then steamed in an earth oven over hot stones. A bit of courage might be required to try another popular local specialty, civet de rousette, or bat stew. If bat does not hold much appeal, look for venison on the menu which is common on Grand Terre. Cattle is raised as well, so a nice juicy steak should not be too far away. Coconut is a common ingredient in New Caledonian cuisine and can be found at the markets alongside passion fruit, papaya, custard apple, lime and saffron. 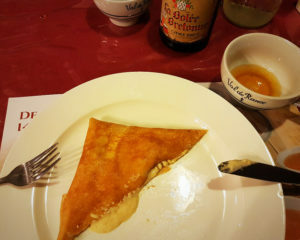 A unique and rewarding way to experience the local cuisine is by way of the table d’hote, or ‘host’s table’, which is a term for dining in local’s homes. This experience is often connected with a homestay accommodation, enabling the visitor to experience living like a New Caledonian. 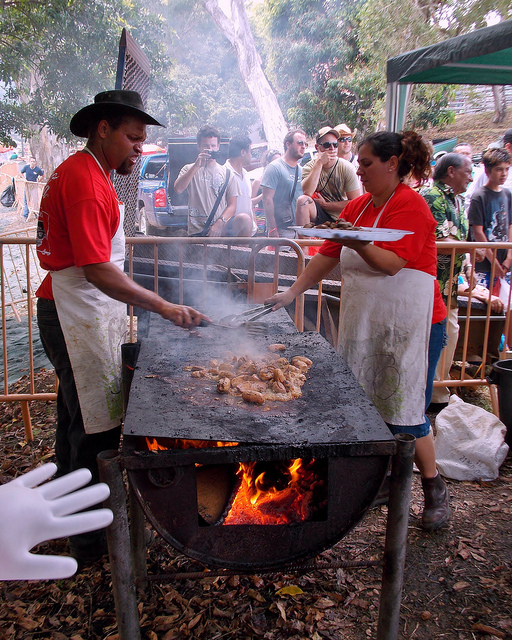 It is a great way to meet people, connect with the local farm culture and enjoy farm to table ingredients such as coconut crab, venison, wild pig, snails and fresh tropical fruits. You may even be asked to participate in preparing the bougna. French gourmet items such as foie gras, pâtés, French cheese and wine, black truffles and more are easy to find in the French supermarkets and gourmet shops. Visit a creperie or pastry shop for irresistible desserts and pastries. There are other cuisines to be found in Nouméa. Chinese, Vietnamese, Indonesian, Indian, Italian and Mexican are all available. And don’t forget the food festivals. These include several yam festivals, an avocado festival, vanilla and French cheese festivals and, notably, an omelette festival which commemorates a giant omelette Napoleon once requested for his soldiers. As usual, we celebrate with a cocktail. 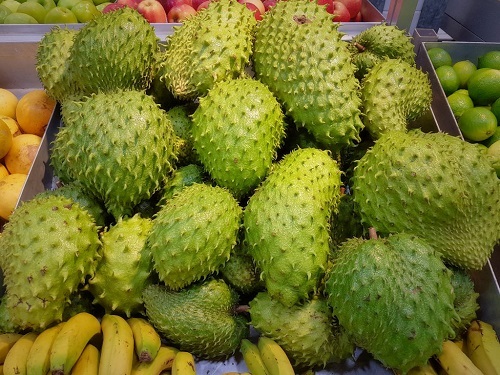 This time I was thinking about blending tropical island flavors with something French – cognac. I chose Tuaca for it’s vanilla flavor profile, added orgeat for some almond nuance and sweetness, some lemon and some newly purchased Elemakule Tiki Bitters from Bittermen’s. Shake all ingredients except Club Soda in cocktail shaker. Strain into rocks glass over a couple cubes of ice. 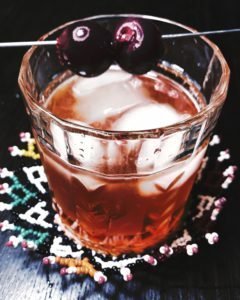 Garnish with Maraschino or Brandied Cherries if desired. 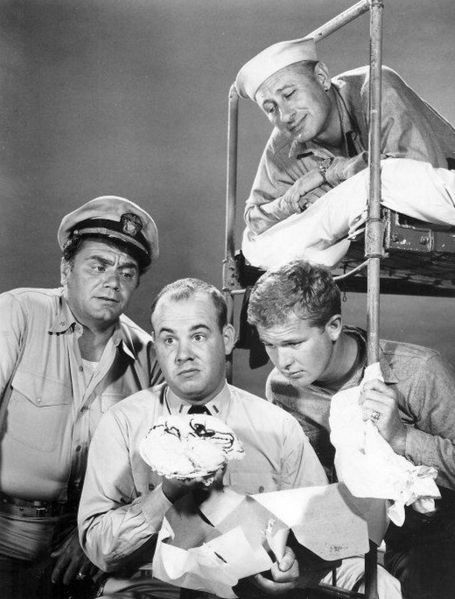 Fun fact: The television series and movie McHale’s Navy follow the adventures of a misfit military crew in the South Pacific during World War II. The show ran from 1962-1966 and much of the action takes place in New Caledonia.